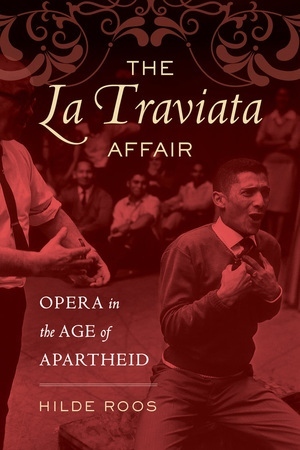 Race, politics, and opera production during apartheid South Africa intersect in this historiographic work on the Eoan Group, a “coloured” cultural organization that performed opera in the Cape. The La Traviata Affair charts Eoan’s opera activities from the group’s inception in 1933 until the cessation of their productions by 1980. It explores larger questions of complicity, compromise, and compliance; of assimilation, appropriation, and race; and of “European art music” in situations of “non-European” dispossession and disenfranchisement. Performing under the auspices of apartheid, the group’s unquestioned acceptance of and commitment to the art of opera could not redeem it from the entanglements that came with the political compromises it made. Uncovering a rich trove of primary source materials, Hilde Roos presents here for the first time the story of one of the premier cultural agencies of apartheid South Africa. Hilde Roos is the General Manager of Africa Open Institute for Music, Research, and Innovation at Stellenbosch University. Her research interests concern the archive, historical representations of the practice of Western art music and the concomitant (colonial) mutations thereof in South Africa.